Woki Organic Market – entrance. Barcelona was a surprising gastronomic experience for me. 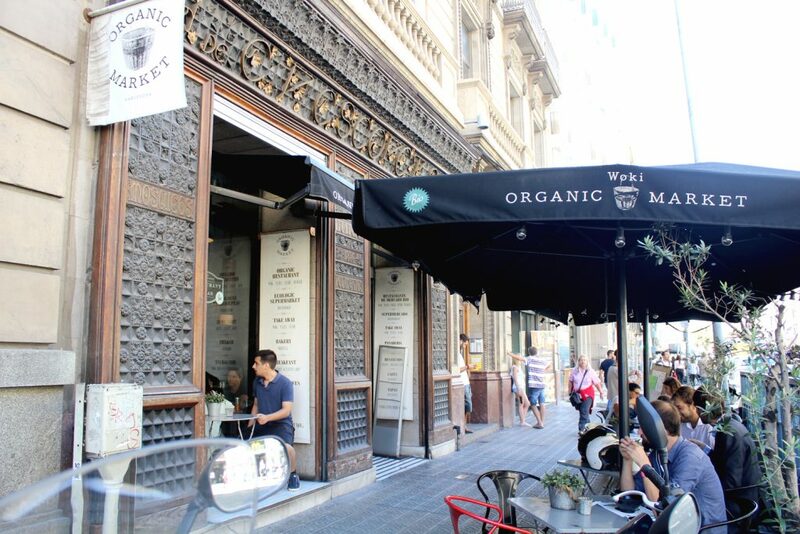 I never imagined that there I could find so much variety and different cuisines, especially restaurants with a health food vibe, like Woki Organic Market. The house offers a vast menu, from appetizers to dessert. What I liked most was the salad bowls for lunch, and this is what we decided to have! 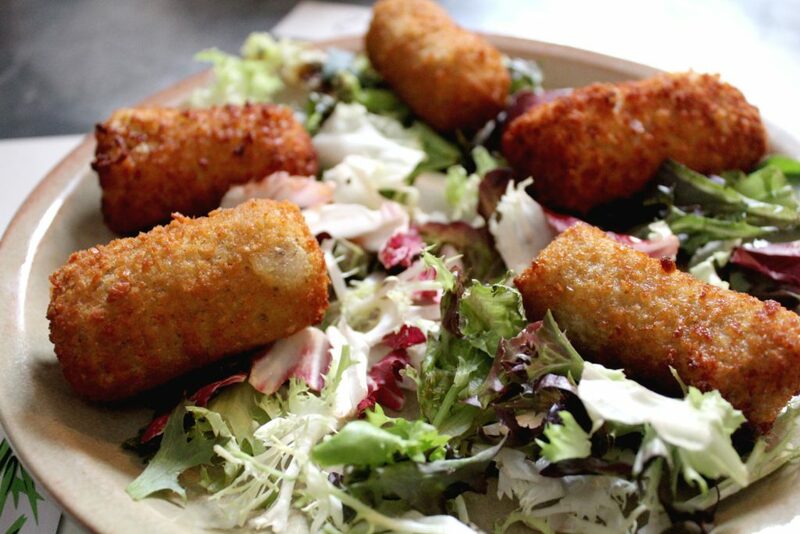 To share: Assorted Croquetes – Ham, Mushrooms, Cheese, Tofu & Leeks. Hubby: Egg Noodles, egg, chicken, tofu, bamboo, china dressing. Mine: Mixed veggies, chicken, spinach, broccoli, mushrooms, thai dressing. Assorted Croquetes – Ham, Mushrooms, Cheese, Tofu & Leeks. 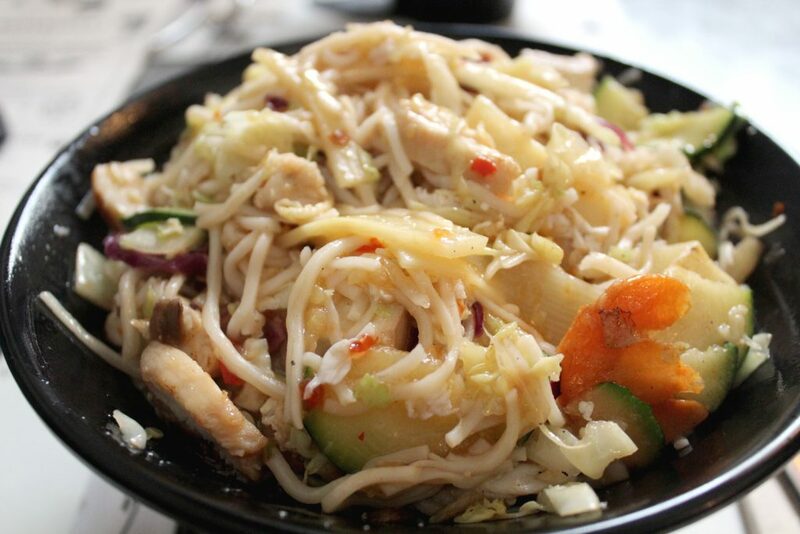 Egg Noodles, egg, chicken, tofu, bamboo, china dressing. 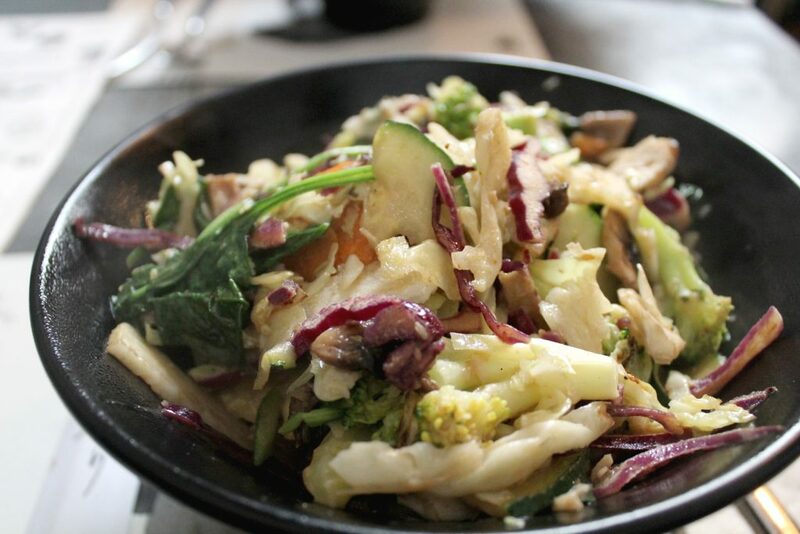 Mixed veggies, chicken, spinach, broccoli, mushrooms, thai dressing. Everything was super fresh and delicious. I really like the number of items you can pick to create your dish. Combinations are limitless!